Canada At the Quebec mosque shooting, this man risked his life to save others. Who will save him now? Aymen Derbali lay on the carpeted floor, his life seeping out of his body. The screams of his friends filled his ears. The bullet that sliced through an artery near his heart was draining his blood. Mr. Derbali could not move. It was after 8 p.m. last Jan. 29 at the Grand Mosque of Quebec City. Minutes earlier, a gunman had calmly entered the sanctuary on Sainte-Foy Road and began firing after parishioners gathered for evening prayers. Six men would die that night. A 27-year-old former army cadet would be arrested and charged with murder. Mr. Derbali would know nothing about it. He was rushed through the frigid winter night toward the Hôpital de l’Enfant-Jésus with seven bullet wounds in his body. He fell into a coma. When he woke up, two months had passed. And that is when Mr. Derbali’s new life as a mass-shooting survivor began. The toll from the attack at the Grand Mosque of Quebec nearly one year ago is sometimes measured in the lives lost, the families left fatherless, the loss of innocence in a nation that prides itself on tolerance and non-violence. But it is also measured by those who survived the attack yet remain permanently damaged by it. Now, the fragments of two bullets remain lodged in Mr. Derbali’s spinal cord. He will never walk again. Mr. Derbali stretches his arms during physical therapy at the Institut de réadaptation en déficience physique de Québec. 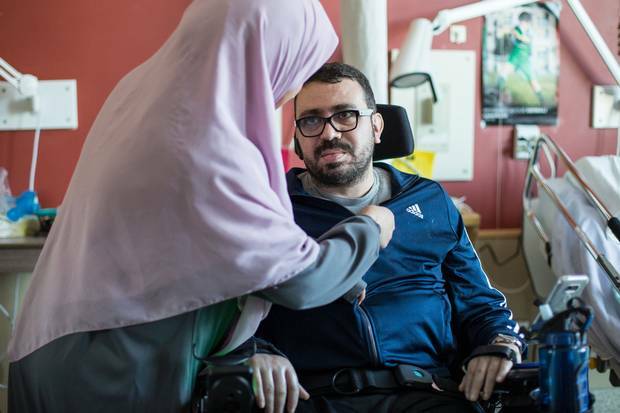 Mr. Derbali rolls into a physiotherapy room at the Quebec City rehabilitation centre where he now lives, his face lit with a look of single-minded focus. He tries to lift the 187-pound deadweight of his body onto an exercise mat; his arms tremble and he grimaces in pain. Just as deep is the trauma in his mind. After he woke from his coma, he hallucinated that he was in a war zone. He imagined that a young man who happened to be in his room was the mosque shooter, until someone reassured him the suspected assailant, Alexandre Bissonnette, was in jail. He kept replaying the shooting in his head, imagining over and over what he might have done differently to save lives. “I blamed myself all the time, not to have done this or that. Maybe I could have tried to get the shooter from behind,” he said at the Institut de réadaptation en déficience physique de Québec. Yet Mr. Derbali did act that night. As panicked parishioners fled for cover, he says he deliberately drew the gunman’s attention to himself. The two locked eyes. “I saw determination, determination to kill us all.” Mr. Derbali says he crouched as if he was going to pounce on the attacker. At that moment, he says, the gunman shot him in the right knee and fired a second bullet into his chin. At least if he takes a few bullets, he remembers thinking, the shooter will either empty his gun or police will arrive before there are other victims. His wife, Nedra Zahaoui, knows how close she came to losing her husband. A doctor in intensive care after the shooting told her his blood pressure had practically fallen to zero. He was put in an artificial coma. The couple has given up much, but not their faith in the country that welcomed them. Both say it would be wrong to judge an entire society for the act of a single man. Still, there are times when he has reason to wonder if the world has moved on. His act of bravery has gone uncelebrated. He has not received a single note or visit from a politician since arriving at the rehabilitation centre in July. “I’m surprised,” he admits, choosing his words carefully. One day – no one is able yet to say when – he will leave the medical centre. He cannot return to the family’s fourth-floor apartment because it is not adapted for his wheelchair. The family of five will have to find a new home. Where will they go? How will they pay for it? Calls for help to city and provincial officials have gone nowhere, Mr. Derbali says. ‘It’s a miracle he’s still with us,’ says Mr. Derbali’s wife, Nedra Zahaoui, left. 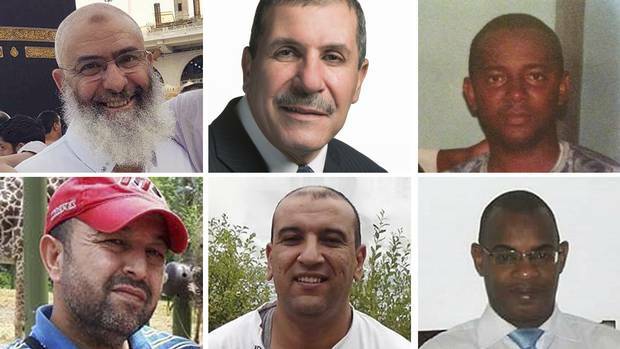 Mosque shooting victims: Six men who sought better lives in Quebec Mourned by friends and family, most of the victims of the mosque shooting had young children. Ingrid Peritz and Tu Thanh Ha tell their stories. 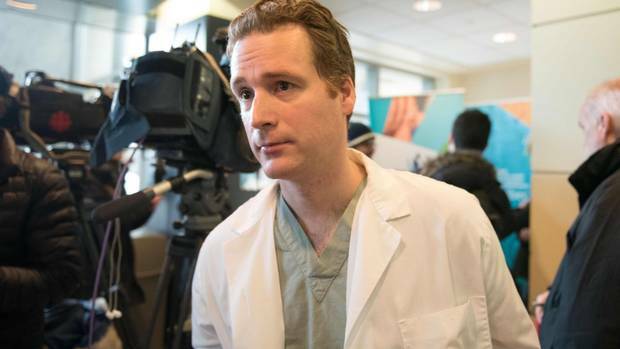 Quebec City trauma team's 'impressive' response saved lives after mosque attack A swift, relentless response likely kept the death toll from rising above six in the mass shooting, the physician who oversaw the trauma team told The Globe.